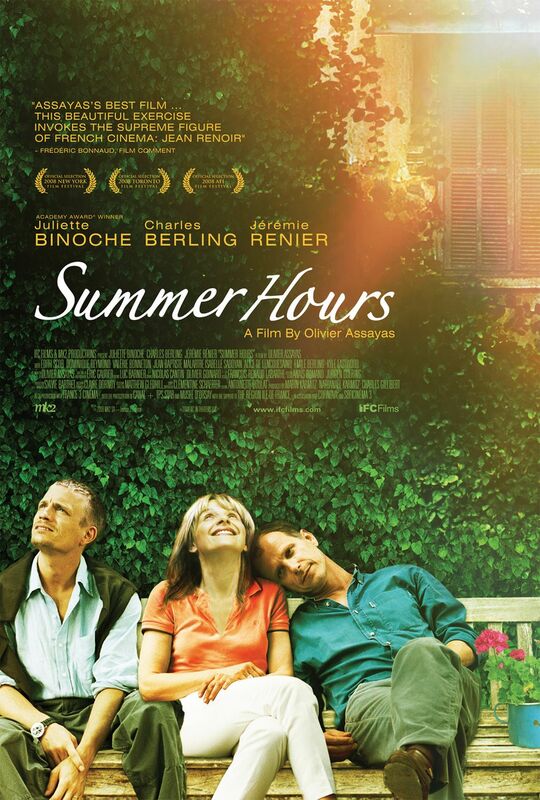 From the director of “Irma Vep” and “Boarding Gate”, we present Olivier Assayas’s “Summer Hours”. A story set in Paris and the french countryside. With Juliette Binoche, Charles Berling, Jeremie Renier and Edith Scob. With brilliant cinematographer Eric Gautier. This entry was posted in Drama, French Movie and tagged Olivier Assayas. Bookmark the permalink.